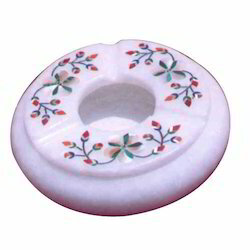 Leading Exporter of marble tyre ashtray, vintage marble ashtrays, leaf marble ashtrays, modern marble ashtrays, stylish marble ashtrays and ash tray from Jaipur. 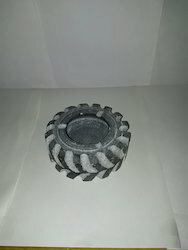 Unique art of ash tray in shape of tyre. Best use for corporate gifting. 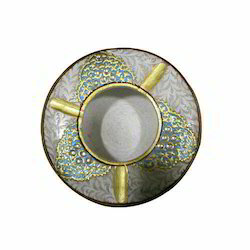 We are offering Vintage Marble Ashtrays that are crafted from premium-grade marble stone and designed intricately. Our range of marble ashtrays undergoes rigid quality checks and we ensure fine polish and superior finish with the latest technologies that makes these not only functional but also fine decorative pieces. 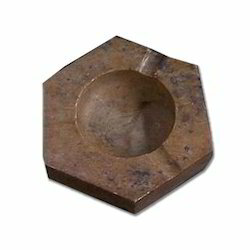 Our clients can avail our impressive array of these ash trays at reasonable rates. We ensure quality packaging for safe transportation. Leaf Marble Ashtrays offered are made available by us under and comprises modern marble leaf ash trays that are offered in 8" length. Featuring quality finish and exclusive work done on marble stones, these beautifully crafted pieces are best recognized for their exclusive designs as well as availability in different shapes as well as size options. These are highly desired because of their usage in home furnishing as well as desired functional purposes. We are a leading manufacturer and supplier of Modern Marble Ashtrays.The offered handicraft ashtrays are stitched utilizing high-grade raw material, sourced from trusted vendors of the market. 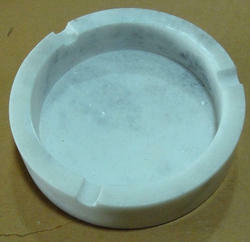 We are a leading manufacturer and supplier of Stylish Marble Ashtrays. 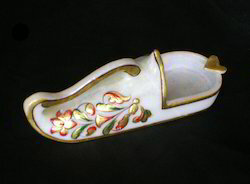 Ash Tray offered comes in perfect carved and polished finish so as to provide for exclusive usage appeal. We are a leading manufacturer and supplier of Marble Ash Tray.When it comes to superior quality Decorative Items Manufacturer, then there are very few alternative available to us. With the help of our quality Home Decorative Items. We have got a perfect place in the market as quality Decorative Items Manufacturer and Decorative items Exporter. Marble Shell Ashtrays offered features selection comprising exciting collection made using superior grade marbles which make them the highly exciting option to be used. Made available in a range of design choices and design finishes.